The Sea Scout Leadership Award is presented by councils to Sea Scouts and Sea Scouters who have made exceptional contributions to Sea Scouting and who exemplify the Scout Oath and Scout Law. This is an opportunity to recognize the efforts of the youth and adult leaders who make Sea Scouting happen everyday. The council can present one award for each five ships. If more than one award is presented, at least 50% of the awards will be presented to youth. Hold a leadership position or an office at the unit, district, council, area, region, or national level. 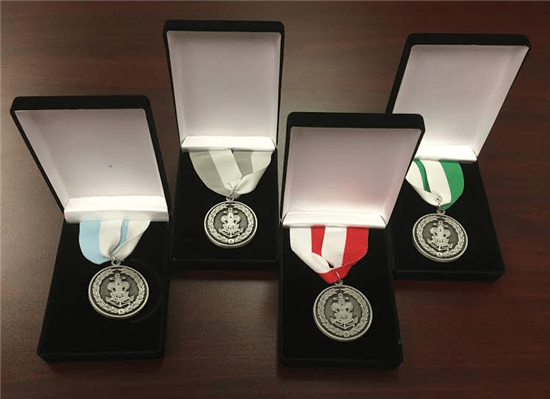 Show exceptional dedication and give outstanding leadership and service to Sea Scouting and to Sea Scouts (at the level appropriate for the award).